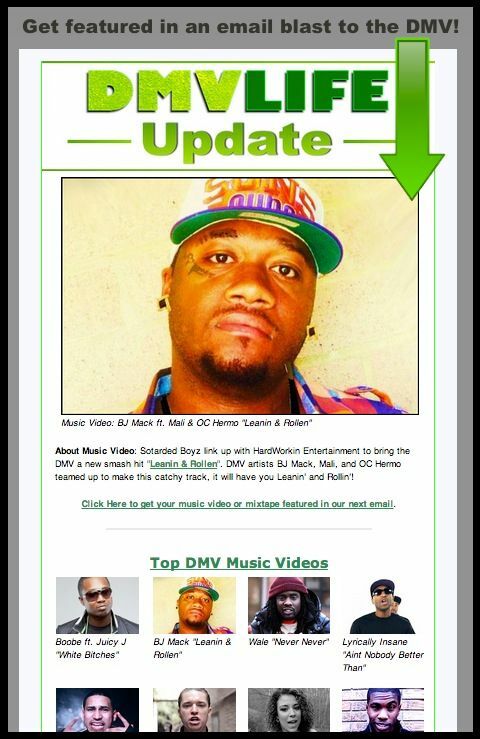 If your goal is to reach as many people as possible, you will want DMVLIFE.com to send out an email blast about your new mixtape, music video, or whatever you are promoting. The recipients of our emails are DMV artists, producers, bloggers, websites, DJs, and fans of DMV music. The people we send our emails to have been confirmed members of our email list so you can be assured that you are reaching quality contacts. After you complete payment, send an email to EmailBlast@dmvlife.com with a link to the video, mixtape, or whatever you would like to promote. Your email blast will be sent out within 72 hours. Once the email campaign has been completed, you will be notified. You can also purchase an email blast as part of a promotional package for your video, mixtape or song. Click Here to view the different promo packages.